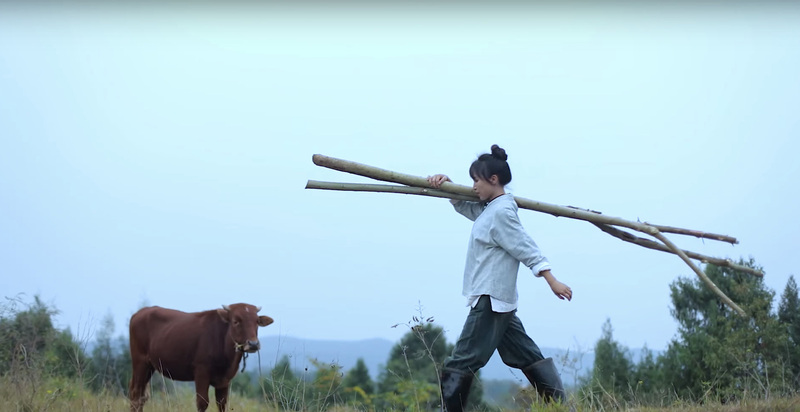 Chinese vlogger Li Ziqi films her videos in the serene countryside of China, demonstrating step-by-step instructions for making traditional recipes such as fresh pomelo honey and Lanzhou beef noodles. In one of her most recent videos Li presents the days long process of traditional Chinese paper making, a process which can be traced back to the early years of the Han Dynasty sometime within the 2nd century BC. From time to time we love to stop and marvel at the mathematical wizardry of artists and designers who make GIFs with code, but Sydney-based illustrator Nancy Liang takes an old-school approach with her imaginative scenes made almost entirely by hand. There isn’t a single element in her animations that doesn’t begin as a physical drawing or object. Liang works mostly with kraft paper cutouts and pencil drawings, all of which is carefully planned in copious sketches before each element is scanned and animated in Photoshop. Seen here are a few of her most recent pieces, you can see more on her Tumblr: Over the Moon. For sale on Etsy, only one set left!